The OC Surf Club hosts and supports many events throughout the year. We are focused on creating a sustainable environment for future generations, and aim to enhance the community through youth mentoring, charity, service and proactive initiatives. We need your support and event participation to do so! Come out and join us and help us make a difference! You don’t have to a be surfer to join our nonprofit organization. We welcome everyone to help us support area youth through scholarship and mentoring, protect our ocean and beaches, and give back to the community in the many ways we do! Choose from Individual, Family, Business, or Sponsorship to help us fulfill our mission. 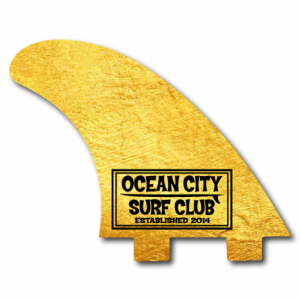 Stay in the loop with the latest news and information within the Ocean City Surf Club. Be up to date on our programs, events, and activities throughout the year, and know what is happening in our local area. An informed community is a better community!